Businesses tend to operate under the influence of their internal and external environment for favourable outcome and competitive sustainability. Under such circumstances, it becomes critical to develop and maintain mutually beneficial relationships with the variety of stakeholders and customers being of paramount importance, especially in the tourism sector. 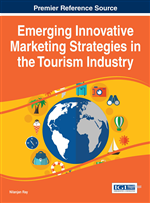 The recent time has seen dramatic growth in tourism industry and tourism has been considered as one of the largest global export industries (UNWTO, 2003). In order to strive, it has to meet the competitive challenges of the future where quality will be the main driving force which mainly focuses upon the satisfaction of all the legitimate product and service needs, requirements and expectations of the consumer, at an acceptable price, in accordance with the underlying quality determinants such as safety and security, hygiene, accessibility, transparency, authenticity and harmony of the tourism activity concerned with its human and natural environment. These expected needs correspond to what the customer expects to receive and to what is experienced as important. These needs can be expressed by the customer and if these expectations fulfilled, will lead to satisfaction and doing so the service provider creates expected quality (Kvist and Klefsjo, 2006). Recognizing this value of end user's opinion, more and more business organizations are focusing towards customer relationship management (CRM) for building and facilitating ever lasting relationship with them (Richard and Johns, 2008). The competitive marketing environment characterized with the availability of differentiated products (Gartner,2009),availability of low switch over options(Massey et al,2001) and the increasing cost of attracting new customer(Peppard, 2000) not only threaten the loyalties but also raise customer's expectations thus necessitating the need for CRM (Pan &Lee,2003). Buttle (2009) projects that the core aim of CRM is towards managing customer relationship shifting the focus from transaction to acquisition, development and retention. There are several attempted definitions made on CRM, Swift (2001) states CRM as “an enterprise approach to understanding and influencing customer behavior through meaning communications in order to improve customer acquisition, customer retention, customer loyalty, and customer profitability”. The word “enterprise” in the definition above holds immense importance since CRM is an approach that must be integrated into everything a company does and must involve the whole company (Swift, 2001). Furthermore, Bose (2002) has stated that, “at the core, CRM involves the integration of technology and business processes used to satisfy the needs of a customer”. Started in the early 1990s, Customer Relation management (CRM) is a marketer’s term for “a group of ideas and technologies created to help improve customer- related business practices” (Bligh P. and Turk D, 2004, pp 7-8). It certainly was the logical extension of long term efforts by companies in order to keep up with ever changing buyers, markets and competitors, and use of PCs and the internet in the 1990s magnified these challenges. Though CRM nurtured from the desire of merging customer support, the helpdesk, enterprise resource program and data mining, it is still unclear who introduce the term CRM to the business world, but the term emerged is still ongoing trill and error approaches(Oberkamp, 2002).P. Bligh and D. Turk further added that “the use of technology in CRM increases pressure for companies to satisfy the customer expectations and needs, as a result, CRM has become a main tool for effective sales, customer service and marketing of any business enterprises” (Bligh P. and Turk D., 2004, pp 7-8). Kincaid (2003, p. 41) viewed CRM as “the strategic use of information, processes, technology, and people to manage the customer’s relationship with your company (Marketing, Sales, Services, and Support) across the whole customer life cycle.” According to Parvatiyar and Sheth (2001, pp. 5), “Customer Relationship Management is a comprehensive strategy and process of acquiring, retaining, and partnering with selective customers to create superior value for the company and the customer. It involves integration of marketing, sales, customer service and the supply chain functions of the organization to achieve greater efficiencies and effectiveness in delivering customer value”. Marketing, Sales, Services and Support are the three major functional areas that CRM consist of and IT and IS are the other vital components in supporting and maintaining these three functional areas as well as the whole CRM process (Kincaid, 2003, E.W.T. Ngai, 2005). According to Newell (2003? ), the sole of the CRM is knowledge. The value of any company lies in what way it is using the knowledge to manage their customer relationship. If the customer relationship is built, it will lead to loyalty followed by profit (Newell, 2003?). The company can be benefited in many ways through CRM which are mainly found in one of these areas(Swift, 2001) such as higher customer profitability, no need to recruit so many customers to preserve a steady volume business, lower costs of recruiting customers, reduce cost of sales, evaluation of customer profitability and increased customer retention and loyalty(Rahimi,2008).